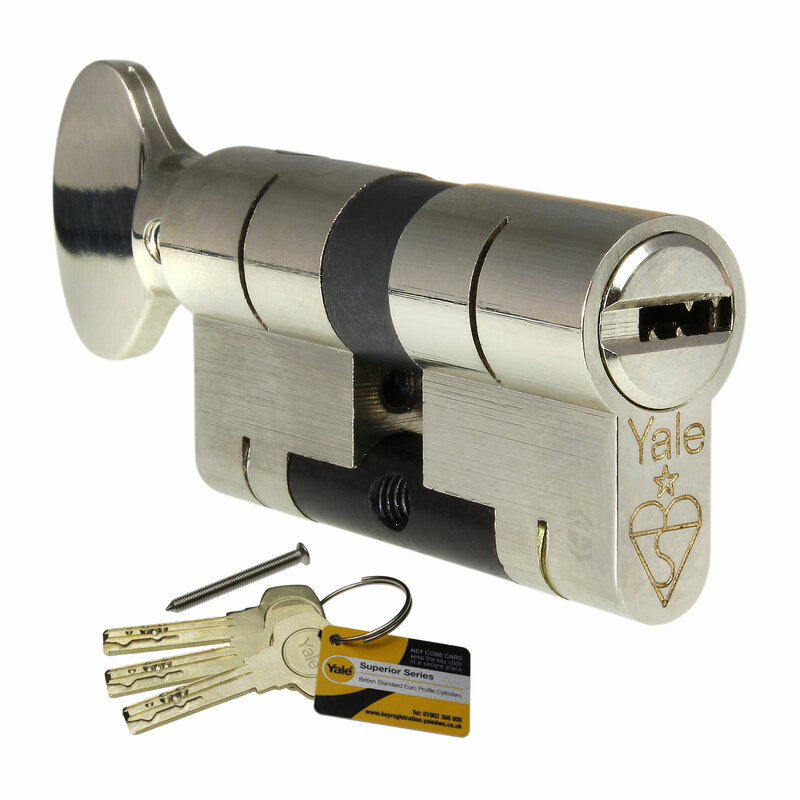 Product information "Yale Superior Thumbturn Euro Cylinder"
High security outside - thumbturn convenience inside! 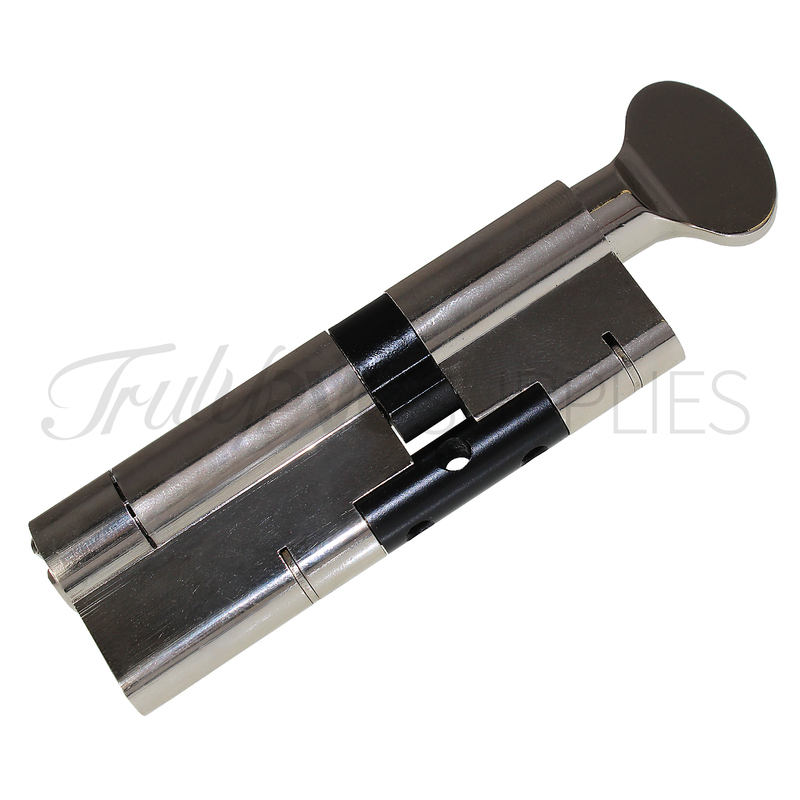 High security key operation on the outside and just twist of the thumbturn on the inside. 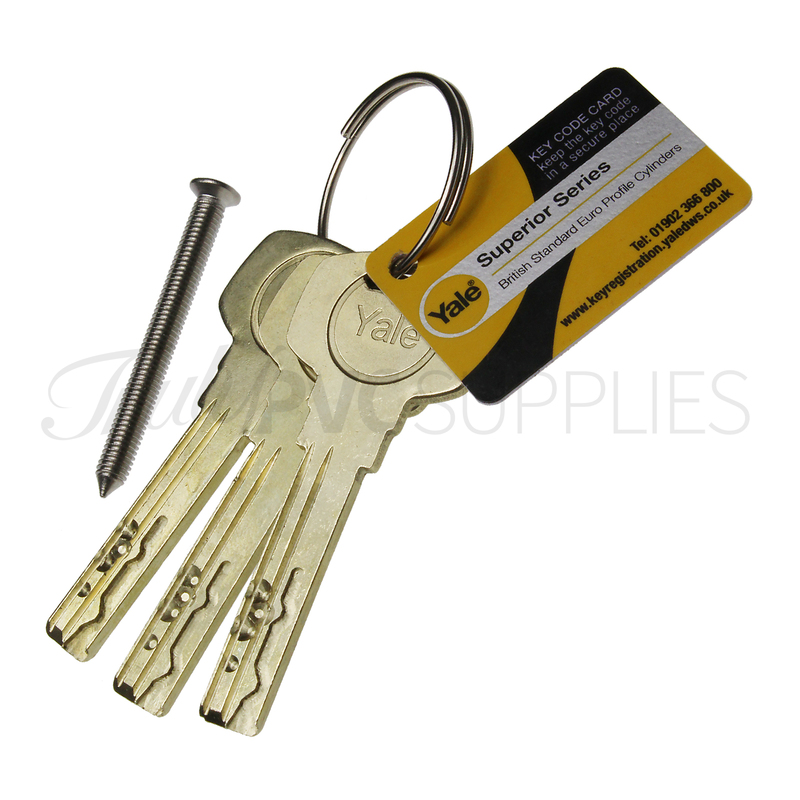 Protects against Lock Snapping, Lock Bumping, Lock Picking, Plug Pulling, Lock Extraction and Lock Drilling. 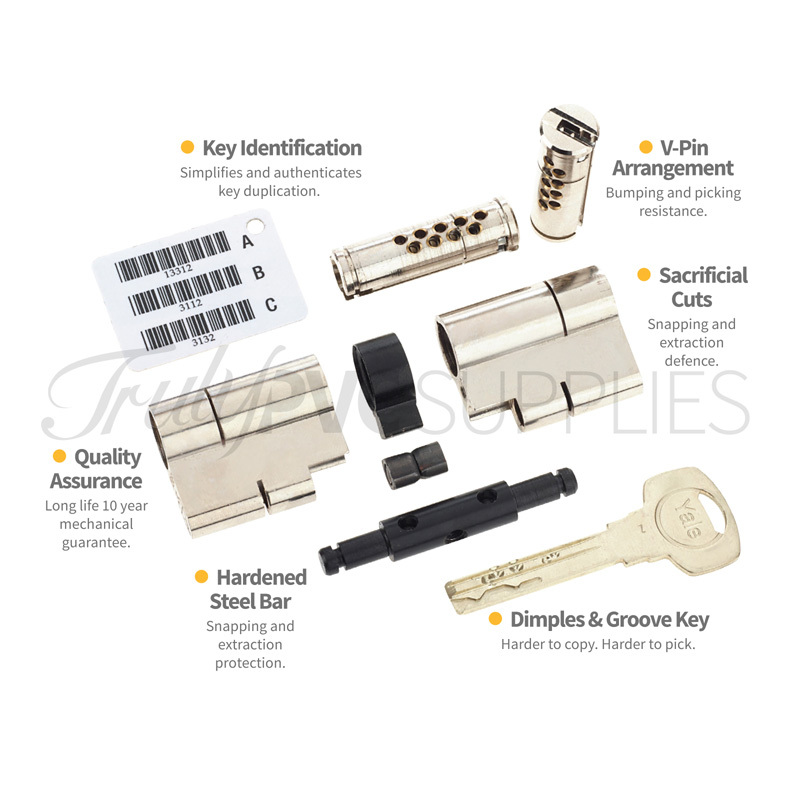 Guaranteed TS007 1 Star security from a name you can trust. 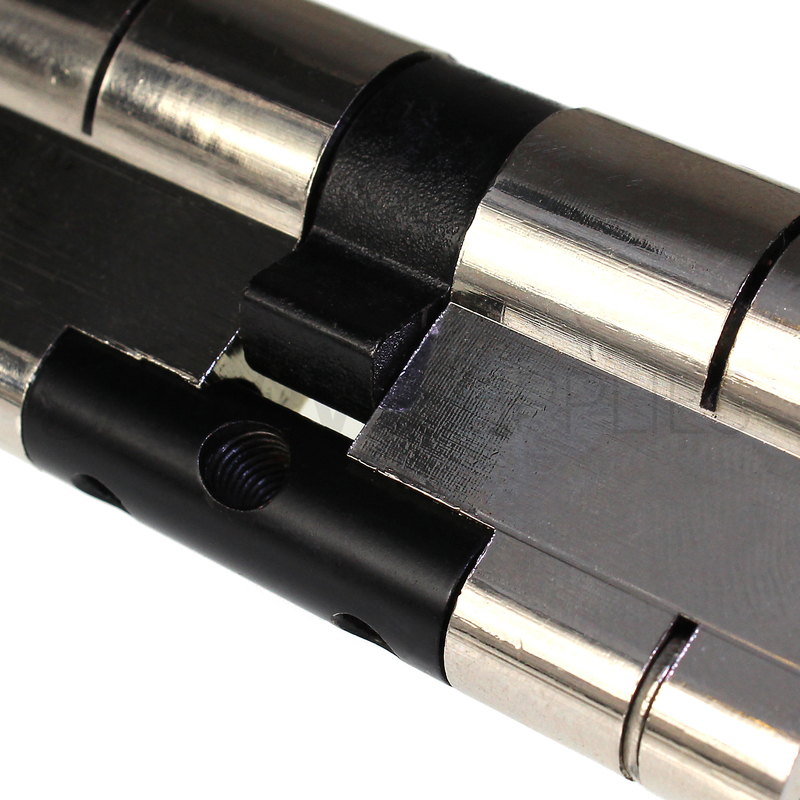 Thumbturn cylinders provide convenient locking and unlocking on the inside, without the need to have keys at hand. 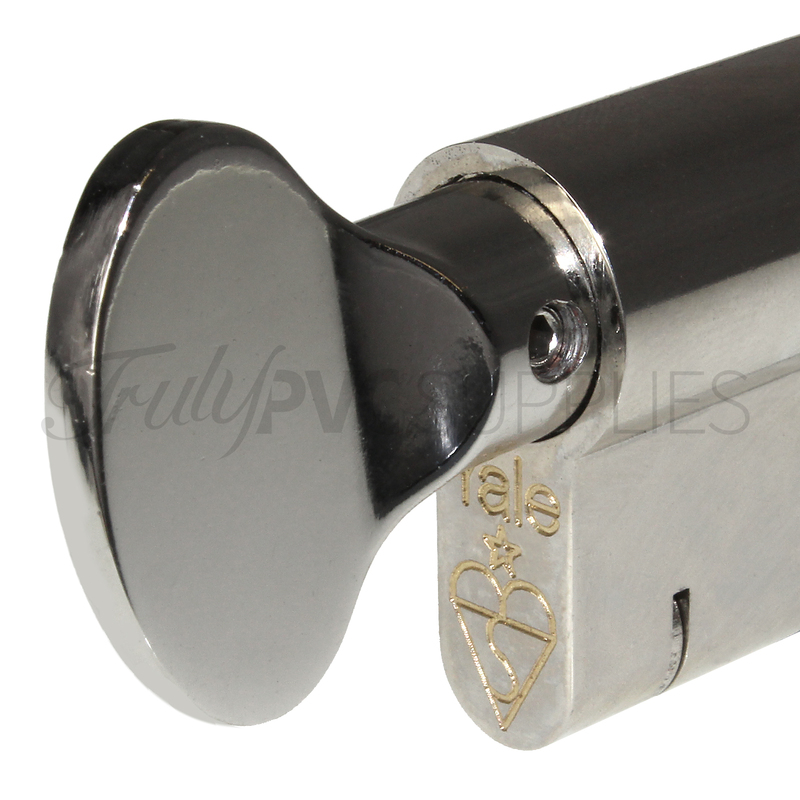 Great for regulary used doors that require locking. 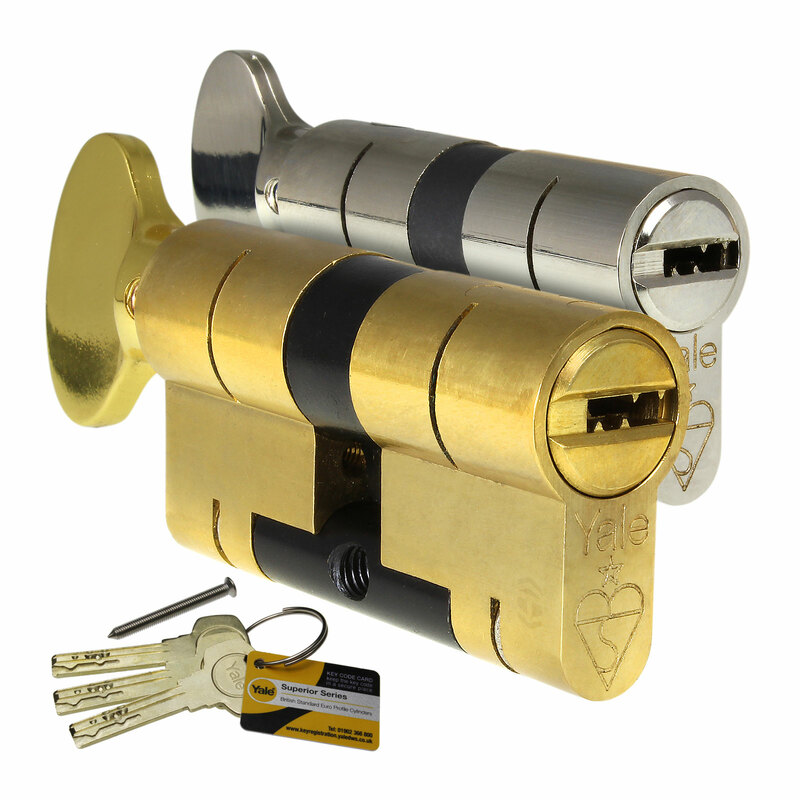 The above image shows a double cylinder instead of a thumbturn but security features are the same. Sizes provided are for the lock and do not include the thumbturn, which projects 28mm. 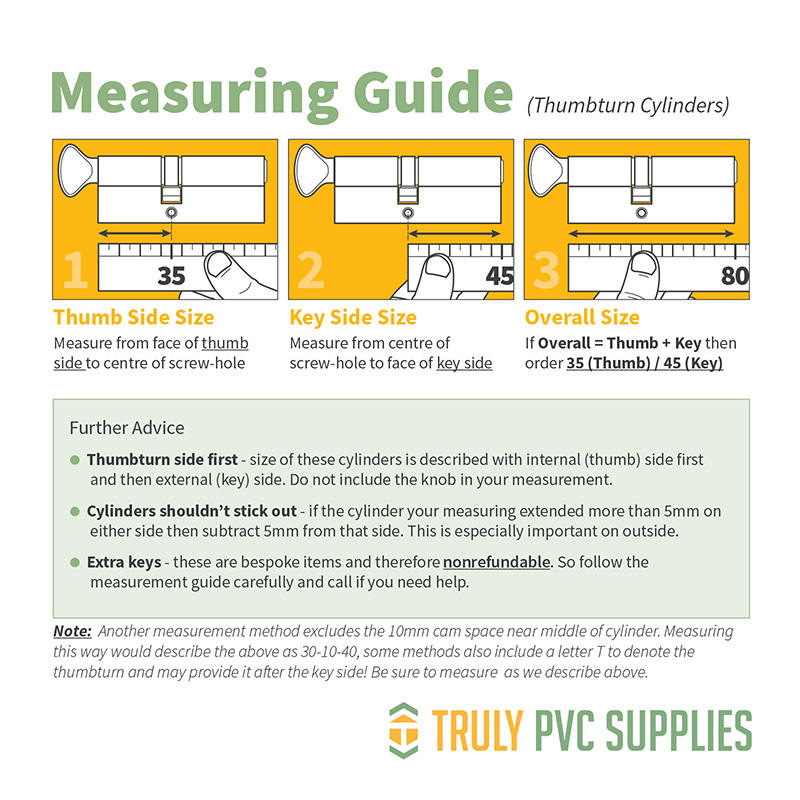 To determine the size cylinder you must remove the existing cylinder. 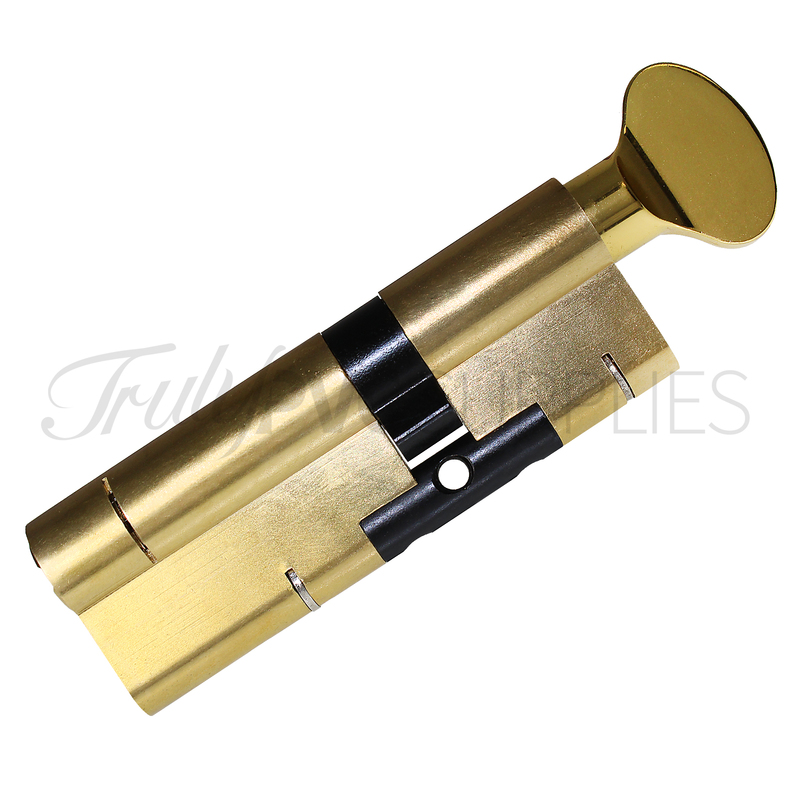 Turn the key/knob while apply pressure to the opposite end of the cylinder. As you do so the cam will line up with the rest of the lock and you will be able to slide the cylinder out towards yourself. 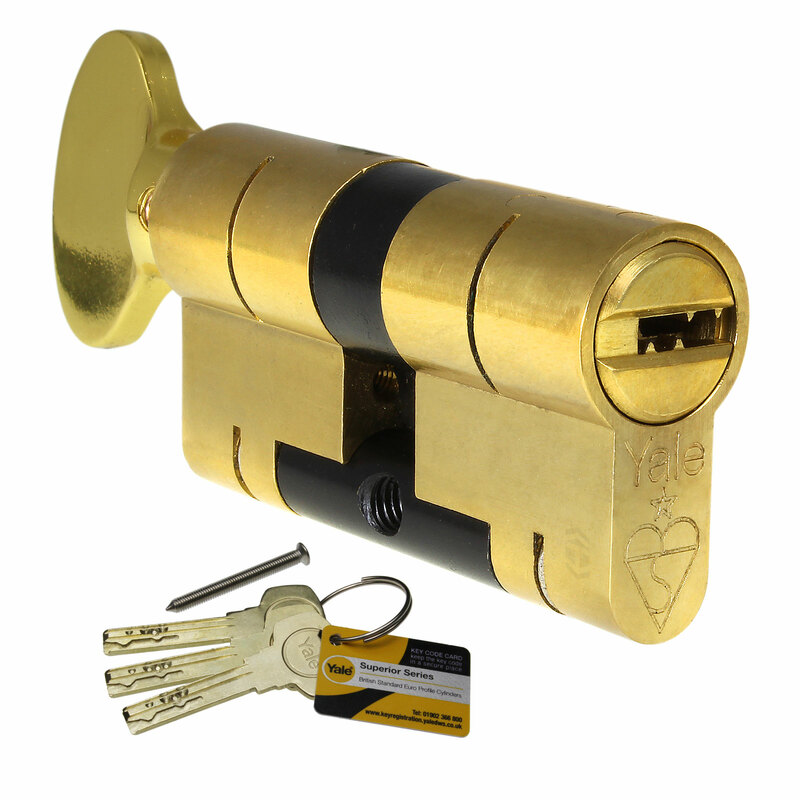 The key usually needs to be turned approximately 25° clockwise or anti-clockwise. 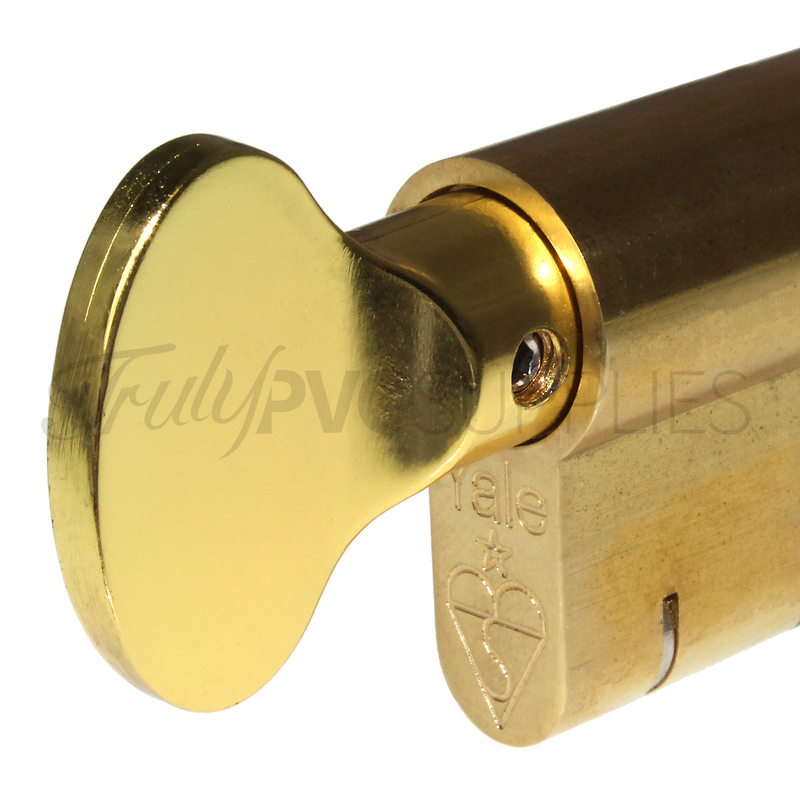 Related links to "Yale Superior Thumbturn Euro Cylinder"
Customer review for "Yale Superior Thumbturn Euro Cylinder"